Will Julian Edelman's role change with the arrival of new weapons? Julian Edelman has been a PPR standout for the last several years. Being the number one target of Tom Brady has a lot of value in itself, but Edelman has maintained a consistent floor that can be useful for teams with high volatility at other positions. 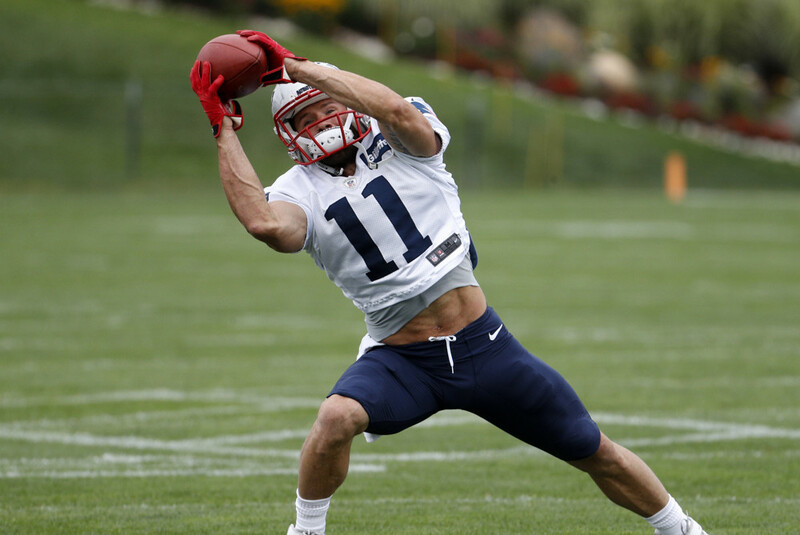 Edelman is one of the few receivers in the game that can be relied on every single week. Julian Edelman did not have a stellar start to 2016, thanks to the NFL’s decision to suspend Tom Brady for the “Deflategate” incident. His numbers with Jimmy Garoppolo and Jacoby Brissett were underwhelming but still gave you a solid floor. Even when Brady came back, Edelman gave you weeks that didn’t stand out, but also ones that didn’t kill you. It wasn’t until after the bye that Edelman got rolling. After the bye, he averaged seven catches for 93 yards (13 yards-per-reception) and scored twice. He also made the play of the year with a juggling catch surrounded by three Atlanta Falcons in the Super Bowl. The Patriots know Edelman’s value, as they signed him to a contract extension for two more years. He remains a cog in what New England wants to do in the foreseeable future. 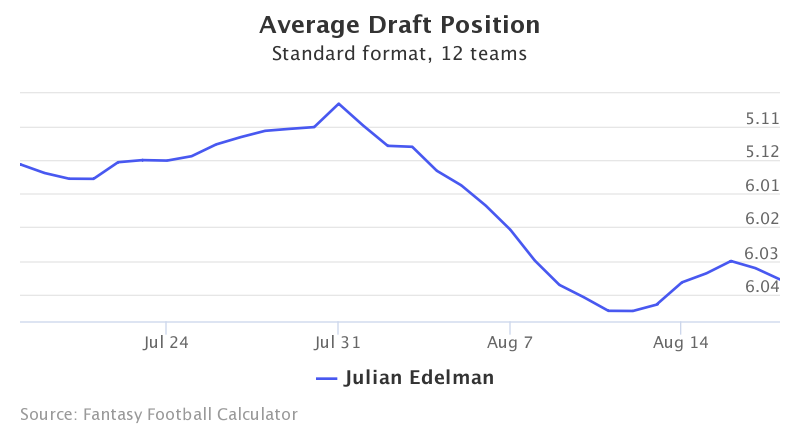 Julian Edelman is currently going as a fringe fifth/sixth round pick in standard drafts in 12 team leagues. His ADP is below. Julian Edelman is currently going in between the fifth and sixth round in standard leagues but has more value in point-per-reception leagues. The weekly floor that Edelman provides will not change in 2017. Brandin Cooks and Dwayne Allen are newcomers that should command targets, but they will not usurp Edelman’s role. Cooks, Allen, Rob Gronkowski, Chris Hogan, and the group of pass-catching running backs form arguably the best offense in football, but Julian Edelman will still see a target share of at least 20% yet again. Do not select Edelman with the hopes that he scores eight or more touchdowns, but he’s a high-floor receiver who won’t destroy your team.